A pretty light week among the injury world, as trade news really took over. The whole Carlos Gomez to the Mets was quite a show, with them being "concerned" about his injuries. However the Houston Astros were not, and he jumps into a top offense right away. One of the bigger stories out of the MLB this week was C.J. Wilson going down for the season. He will need surgery to fix a left elbow impingement. Wilson was putting together a fairly decent season, with eight wins, and an ERA in the upper threes. This comes as a pretty big hit for L.A., but they are getting Jered Weaver back, and Andrew Heaney is pitching well. Devon Travis has been good friends with the DL this season, and he heads back yet again. He has a strained shoulder, which was the issue earlier in the season. He is without a timetable, as we saw him down for quite some time in his last trip. Matt Holliday is back on the DL with a right quad strain, he has no timetable for return. With Randal Grichuk in the mix of things hitting well, the Cardinals have always been alright. Good news for Kyle Schwarber, Joe Maddon plans to keep him on the roster with Miguel Montero coming back. This will shrink his playing time, but could be a rotational guy for your team. Justin Turner has had one of the oddest DL trips, he had an infected pimple on his leg and required hospital treatment, and a 15 day DL trip. Turner has been red hot this whole season, so a tough bat to lose for a few weeks. We are still waiting for MRI results on Jason Kipnis, who has a shoulder issue, and could possibly land on the DL. With the Indians out of it, this could likely be the move they make. 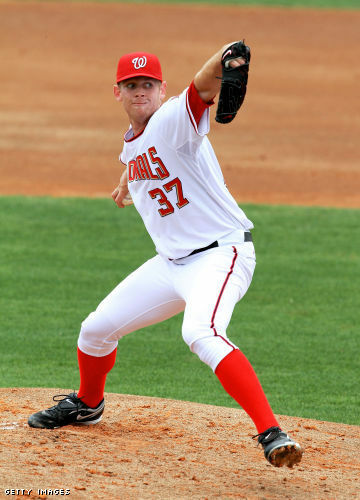 Stephen Strasburg is going to need another rehab start, he gave up four in his first one, just going four innings. He will likely rejoin the Nationals at the end of this week. He is one of the few arms that are on the DL right now. A.J. Burnett being a significant other, he has problems with elbow inflammation, which could of led to the beating he took this past week. Burnett has been solid all year, and tough to lose his arm in the middle of a race, as well as our fantasy seasons. He is scheduled to meet with team doctors, to undergo further testing, but we could possibly see some very bad news here in the next few days. Not that anyone owns him, but Rick Porcello is on the DL with arm tightness. He could sure use some rest after throwing batting practice this entire season. Tommy Milone was another subpar arm to land on the DL this season, he has a forearm strain. Milone has missed a lot of time of late, due to the Tommy John Surgery. The Yankees believe Michael Pineda could be out for a month or so at the month, so clearly they are anticipating the worst. However he hopes to resume throwing in 7-10 days. We likely won't know anything until that happens. A few key position players to worry about, Giancarlo Stanton suffered pain during taking practice off a tee. He said the recovery is going slower than he thought, and hand pain is nothing to mess around with. An official set back and timetable has not been set, but there will likely be one. Miguel Cabrera is ramping up baseball activities, taking grounders, batting practice, etc. He has not ran the bases yet, given the nature of the injury, that is a crucial step for any clear return. The month of August is the timetable, so take it for what it is worth. Corey Dickerson has landed on the DL for the third time this season, this time with a broken rib. This is frustrating for fantasy owners, given Dickerson's top ten outfielder ability. Josh Harrison is making progress, but has yet to do anything with hitting. He is still set for a September return. David Wright, remember him? He is heading to a spring training physicality to really get going on this return. The Mets lineup needs him, and he can significantly help the Mets for a playoff push. He is on pace to return towards the latter half of the month. A few day-to-day guys on the list for the week, Joe Panik, A.J. Pollock, and Josh Reddick are guys dealing with some tightness, and general soreness. Nothing too crazy. Kris Bryant was dealing with some possible concussion like symptoms, but nothing has really surfaced. Mookie Betts found himself in the same situation, but hit the 7 day DL. We avoided a pretty good scare with Clayton Kershaw, but judging by his scoreless streak, his hip is no problem.